Somewhere half-way between Biljanovac and Jošanička Banja, in one of the houses scattered on a slope by the road lives Dragan Todorović with his wife and daughter. There are not many inhabitants left in this village in the vicinity of Kopaonik, people are leaving. Dragan says he is sorry he has not moved too, but he thought that now that he and his wife retired and daughter is employed he could finally have some peace. What spoiled this peace in summer last year was the construction of hydro power plant which was initiated just opposite his house. This is why a meeting was held in the village. “We are not opposed to construction, but they should be doing it in places where it does not disturb people. It happens that they disconnect water at night for their plants to work better so there is no water running down the river”, explains Dragan in an interview with journalists of the Center for Investigative Journalism of Serbia (CINS). In this area, small hydro power plants are mostly notorious for the noise and impact on the environment they make; on this dozen of kilometers between Biljanovac and Jošanička Banja there are as many as four of them: three completed and one in construction. I feel miserable. I am in the position to give up and keep quiet. Faced with the request of the international Energy community to increase the share of electric power generated from renewable energy sources, the authorities have stimulated private businessmen to invest in such plants, including small hydro-plant business, for years. However, according to a comparative analysis of the Republic Bureau for statistics and EPS Snabdevanje, in 2016 only about 0.5% of total produced electric power was purchased from small hydro-plants. The investors who have built those small hydro power plants and who have been grated the status of privileged producers by the Ministry of Mining and Energy earn profit from the state which purchases the power they produce at predetermined, higher prices. The money with which the state purchases such power comes from citizens of Serbia, whose electricity bills are therefore increased by a separate fee. CINS discovered that in the period between 2013 and 2016 small hydro-plant investors were paid somewhat more than 5 billion dinars, or more than €41.6 million, for the power generated. Out of that amount, somewhat less than €14 million went to the state itself, that is, to the Drina-Lim hydroelectric power plants, owned by Serbian Electric Power Industry (EPS). More than €7.2 million was paid to companies connected to Nikola Petrović, best man of Serbia’s president Aleksandar Vučić, and his business partners. Simultaneously with the construction on rivers throughout Serbia and growth of profit of investors who were frequently connected to the authorities and politics, citizen protests against them were intensifying. In Jošanička Banja, thanks to the initiative launched by several inhabitants, the Institute for nature conservation established that some hydro-plants did jeopardize the surrounding nature. Citizens of Priboj and Temska, village in the vicinity of Pirot, also protested. Serbia’s state interest in development of renewable energy sources is reflected in the obligation towards the international Energy community to generate as much as 27% of energy from renewable by 2020. The motives of investors were equally as clear – back in 2015 CINS wrote about the high interest in construction of small hydro-plants as their owners had state guarantees what power produced in them will be purchased at higher prices for the period of 12 years as of the commissioning of the plant. The feed-in tariffs for the generated power are determined by the state, depending on the type and size of the plant, as well as its maximum time of effective operation. In the period from 2013, when this manner of subsidizing was introduced, to the end of 2016, about a half of the sum of somewhat more than €41.6 million paid to owners of small hydro-plants went to the state and companies connected to Aleksandar Vučić’s best man, Nikola Petrović, and his business partners Dragan Klisura, Nenad Mihajlović, and Nenad Kovač. 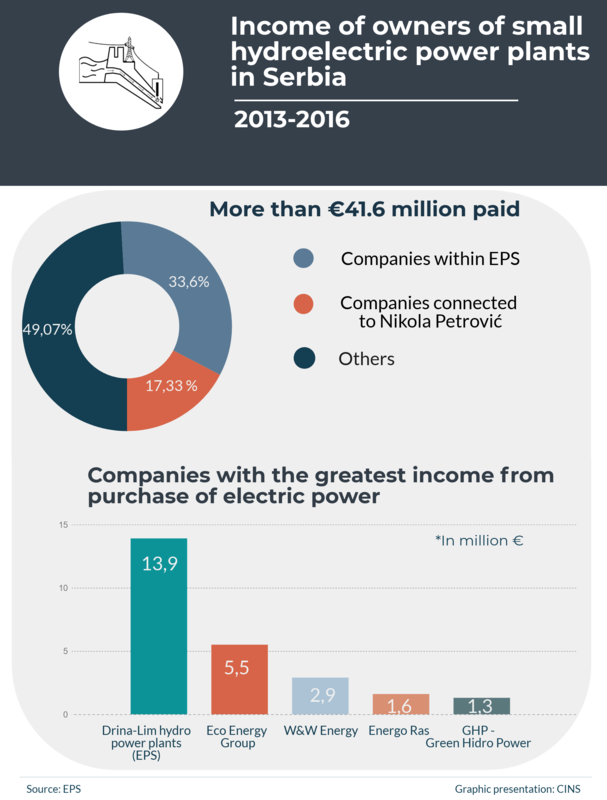 According to data from EPS Snabdevanje, company which operates within EPS publishing reports on purchase of electric power, the Drina-Lim hydroelectric power plants were paid almost €14 million in this period for the power plants Ovčar Banja, Međuvršje, and Radaljska Banja. Eco Energo Group is the owner of seven small hydro-plants which have the status of privileged producers; they are all located in the municipality of Crna Trava, in the south-east of the country. This company, nowadays managed by Nikola Petrović, was paid more than €5.5 million in the course of these four years. The owners of Eco Energo Group are Dragan Klisura and – through other companies of his – Nikola Petrović, Nenad Kovač, and, to a smaller extent, Vera Ristić. Until 15 June last year, Nenad Mihajlović was also one of the owners. Eco Energo Group, its owners, and Petrović himself are also the owners of the small hydro-plant Jabukovik in the municipality of Crna Trava, which in this period received almost €1.1 million from citizens of Serbia. The hydro power plant Županj received almost €600,000 as a privileged producer. It is owned by the company Eco glotec in which Nikola Petrović has had 10% of ownership since 2017 through the company Eko Vlasina; Dragan Klisura, and Nenad Kovač have as much ownership, while the remaining 70% belongs to the Swiss company Glotec International. Thus, the companies in which Petrović and his partners were either sole or joint owners disposed of the total amount exceeding €6.6 million; adding Županj, i.e. Eco Glotec in which they are minority owners – the total amount exceeds €7.2 million. CINS journalists requested an interview with representatives of the company Eco Energo Group, but have not been granted one till the moment of publication of this report. When the CINS journalist introduced herself, Nikola Petrović hung up the receiver. He also failed to reply to text messages. The CINS journalist also called the company Eco Glotec. Prior to hanging up the receiver, the person who answered the phone introduced herself as an employee of the company Eco Energo and said that both companies were available at that number, but that the manager of Eco Glotec is not available for an interview, while she was not authorized to extend any information to journalists. 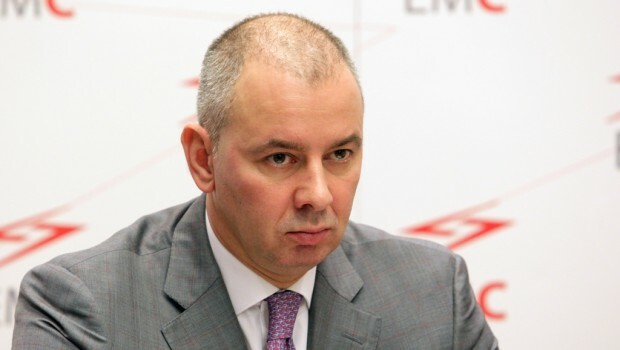 From September 2012 till the end of 2016, Petrović was the director of the company Elektromreža Srbije (EMS), state-owned company within the energy system of Serbia. In this period, he officially stepped out of the company Eco Energo Group, in which he had previously been the owner, returning as the owner and manager soon after his departure from EMS. Klisura is the owner of the company Hidro-Tan which is in construction of small hydro plants and Petrović’s business partner. Nenad Kovač came into the public focus upon introduction of the collection system in public transport, Bus plus, which CINS already wrote about, the ownership of which was connected to him. Nenad Mihajlović is also one of Petrović’s partners and former manager of the closed-down newspapers Pravda, in which he was one of the owners. Back in 2011, in its Report on pressures on and control of media in Serbia, the Anti-corruption Council connected Pravda with Serbian Progressive Party (SNS) based on ownership. Vera Ristić is mother of Jelena Đoković, wife of Serbian tennis player Novak Đoković, who has been engaged in projects in the area of renewable energy sources for years. Except for the given companies, the company which stands out by its income earned from sale of electric power from small hydro-plants is W&W Energy from Kragujevac with somewhat less than €3 million. The owner of this company is Bojan Milovanović. 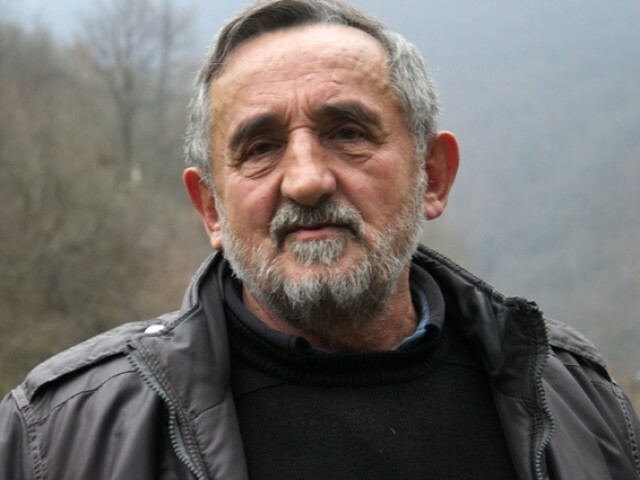 Milovanović adds that reports of the Institute for Nature Conservation on jeopardizing of the eco-system are not relevant and professional as they are not based on sampling, and that issues faced by individual hydro-plants should not be generally valid for the whole hydro-plant sector. Power generated at small hydro-plants represents a small portion of total electric power produced in Serbia. Thus, according to the data of the Republic Bureau for statistics, in the course of 2016 the total generated power amounted to about 39,000 GW, while, according to data from EPS Snabdevanje, only somewhat less than 200 GW, or about 0.49% of total production, was purchased from small hydro power plants. Jasminka Oliverić Young, programme director of RES Foundation, explains that the purpose of so-called feed-in tariffs was to attract investors; however, since 2015, the European Commission has been recommending transfer to tender procedures, as such tariffs are opposed to the basic purpose of state aid. The Energy community is recommending the same for Serbia, although this would not relate to producers who have already concluded contracts with the state. In the course of construction of small hydro power plants on the Jošanička river, workers were using bulldozers, machines similar to dredgers, to pull out and cut down vegetation by the river, thus practically aggravating its recovery, and indirectly jeopardizing riverbank stability. Occasional concrete pouring as well as oil and various oil derivatives spilled on the ground may resulted in devastation of amphibian fauna. The works caused water turbidity which had negative impact on rainbow trout spawn and young fish. All this was established in 2014 by Serbian Institute for nature conservation in the course of inspection of a part of the Jošanička river, at the territory of the municipality of Raška. “We believe that all the activities undertaken and the condition of nature in the observed part of the water course indicate to arbitrary decisions of individual investors, serious jeopardizing the river bed, alluvial plains, and the hydrological regime”, reads the Report signed by Aleksandar Dragišić, director of the Institute. Jelena Drmanac has been pointing to the issue of small hydro-plants in Jošanička Banja for years. Aleksandar Drašković and Jelena Drmanac, former members of the Committee for protection and development of Jošanička Banja also pointed to this; it was upon their invitation that the Institute conducted the inspection. The Committee was founded in September 2013, when inhabitants of Banja started complaining that there was no water in the river because of the hydro-plant, and that their fish ponds could not possibly survive this. In this region, hydro-plants succeed one another. Thus, river water is first directed through pipes to the mechanical facility of the hydro-plant where power is generated, to be then discharged back and several dozen of meters later directed into other pipes of another power plant. “We literally get morsels of both the pipe network and the river”, says Jelena Drmanac. Aleksandar Drašković explains that issues with small hydro power plants arise upon initiation of construction and start-up if developments in the field differ from what is envisaged in documents. Having inspected the situation, the Institute for Nature Conservation of Serbia composed a Report on Enviromental impact of small hydro power plants at the territory of Jošanička river basin, and filed it to the Ministry of energy, Ministry of mining, Republic Water Directorate, Public company National park Kopaonik, and the Municipality of Raška. 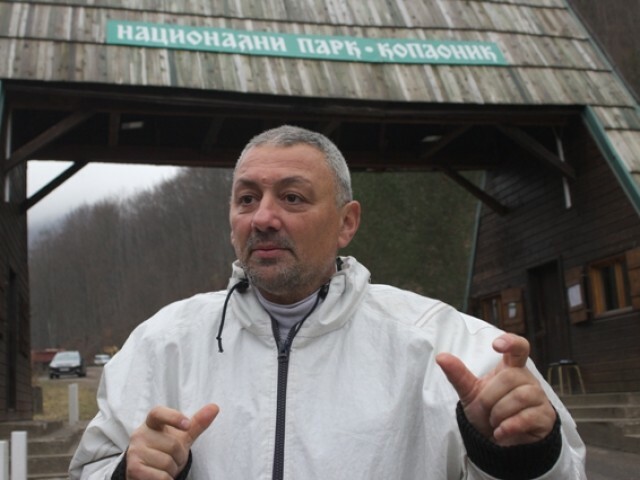 Bojan Milovanović, director of National park Kopaonik, did not provide concrete answers to the questions asked by CINS journalists; however, in his reply, except for criticizing Institute employees, he said that the National park is not in charge of majority of small hydro power plants from the Report. He explained that, should the National park be in charge, there is a possibility to inform the Republic inspector to that extent; however, he did not say whether this was actually done. Sources from the Republic Water Directorate did not reply to the questions asked by CINS about the Report issued by the Institute, but stated that they acted upon a motion of the Committee, and that on conducting inspection they did not establish violation of biological minimum. Biological minimum is the minimum amount of water which must remain in the river. CINS journalists did not get information on whether the other bodies acted based on the Report. The Committee for protection and development of Jošanička Banja was dismantled shortly after the Institute had written the Report. Jelena Drmanac explains that members of the local community concluded that the body had gone too far, accusing its members of creating issues: “They said we were opposed to progress, that we are against investors coming here”. At that moment, the president of the local community was Milinko Milojević – also a hydro-plant owner. His company Mečkari is the owner of hydro-plant Klupci, one of the total of 15 small hydro power plants at the territory of the Municipality of Raška, which in the period between 2013 and 2016 received more than €61,000 as a privileged producer. Milojević did not want to talk on this for CINS. Data from business registers indicates that a number of power plants in Raška are owned, somewhere in minority and somewhere in majority, by current or former officials and people connected to them, such as the case of Županj in which Petrović, Klisura, and Kovač have 10% ownership each. The whole apparatus came to a halt because someone said “don’t you dare mess with this guy, he’s the other best man”. Company Energo Ras is the owner of hydro power plants Belci and Kašići, its manager Vladan Karamarković, assistant minister of energy in the period from June 2005 to April 2010. In 2014, 2015, and 2016, Energo Ras received somewhat more than €1.5 million as a privileged producer. Belci power plant is one of those mentioned in the Report of the Institute; however, Karamarković says for CINS that such statements are not correct, and that whoever wrote this did not have even “elementary knowledge”. As he says, everything done at the hydro power plant was subject to approval issued by a consultant of German development bank KfW, and that the rivers are actually mostly polluted by the population. According to Karamarković, the fact that he was assistant minister did not help him obtain permits more easily. However, he says: “Having information is a positive thing. When you know what is planned for future, then watch and observe, wait for conditions to be in place, and then you proceed in line with law”. He also says that he started this business because he could not possibly lose with it: “If your power plant does not operate, the bank will take it from you. You need not to provide any pledge other than the part you invest yourself.” He adds that all power plants were constructed based on loans, and that, because of the 7% interest rate, the whole business is profitable only if it rains; likewise, the return on investment period takes 12 years. According to the documents obtained by CINS journalists, Goran Perčević, former official of the Socialist Party of Serbia, is the current manager of Interkomerc company, which planned to build four hydro power plants constructed in Raška. Two of them - Velež and Šutanovina - have the status of privileged producers. All four of them are owned by company Univers which is connected to Perčević’s former business partners, Bojan Jakovljević and Prvoslav Antonijević. Jakovljević was a member of National Parliament for the ruling SNS from February 2013 to April of the following year; nowadays he is the director of Skijališta Kopaonik. He stepped out of ownership in Univers in October 2016. Antonijević was the SNS commissioner in Leposavić, in the north of Kosovo. In the period between 2013 and 2016, Univers was paid more than €850,000 for electric power produced in Velež and Šutanovina. Antonijević says for CINS that his hydro power plant Velež, which was also mentioned in the Report of the Institute issued in 2014, does not jeopardize the eco-system and that there are still fish in the river. Aleksandar Drašković from Jošanička Banja says: “This is no more an environmental protection issue, this is now the issue of functioning of the state. The whole apparatus came to a halt because someone says ‘don’t you poke him, this is the other guy’s best man’. I wanted to ask Vučić’s chief of staff is he knows how many best men he has in Jošanička Banja, because, wherever you look they will say “don’t you poke him, he’s the best man’. Well that is terrible”. The number of those who will earn their income from electric power generated from renewable energy sources has been increasing year by year. In the course of 2017, the Ministry of energy granted the status of privileged producers or temporary privileged producers to 30 small hydro-plants, which is twice as many as in 2016. Now their total number amounts to 102. At the same time, citizens all over Serbia organized protest rallies. In the village of Temska, located within a 10-minute ride from Pirot, there is a big red inscription on one of abandoned business facilities: “Temska defends the river!“. 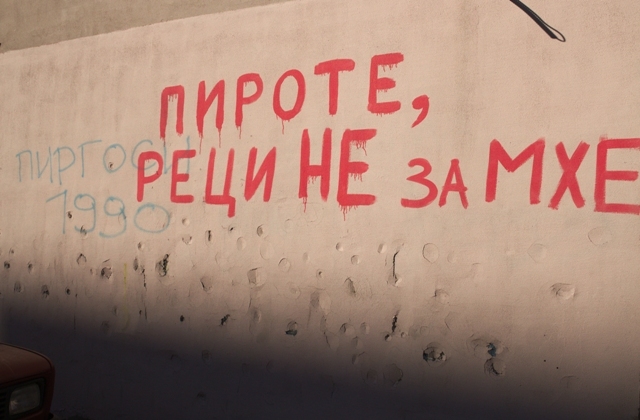 Similar graffiti may be observed in the centre of Pirot too. They are there to revoke protests held in July 2017, when local citizens protested against transferring the local Toplodolska river into Zavoj accumulation, natural lake used by Pirot hydro-plant. They believe that the river and valley would thus run dry. The Toplodolska river is located on Stara Planina, within the natural park. Bojan Ivković, energy manager of the Town of Pirot, says that at that territory there are 58 sites on which construction of small hydro power plants is planned, with as many as 43 of them located at the nature park itself. As a local self-government unit, the Town of Pirot is not in charge of such power plants. “As a local self-government unit, we might prefer to have much more competences, but we do not. (...) There is a Republic body on our territory which does the whole procedure and issues permits – construction permits and all, and we only get a notification”, says Ivković adding that besides no competences, they also had no benefits, unless a local company is engaged for construction. “The municipality, as an institution, has no legal grounds to charge anything, even fees”. Following the protest rally which was also supported by the municipality of Pirot, plans of the Ministry of energy relating to the Toplodolska river have been suspended. For how long, that is yet to be seen. In its answer to the CINS request for interview, the Ministry of Environmental Protection filed a reply which, among others, states that the Ministry is not in favour of construction of small hydro power plants in protected areas because “the share of energy generated from such renewable sources in total production of electric power in Serbia does not correspond to harmful impact and changes they bring in protected areas”. Shortly after the protest of inhabitants of Temska, on the entirely other side of the state, at the very border with Bosnia and Hercegovina, inhabitants of Priboj protested against construction of power plant Rekovići on the Lim. Even though it transpired that it was built by Mini hydro investments company, the manager and one of owners of which is Nikola Petrović, the protestors placed an emphasis on protection of the river, fearing that the level of the Lim will drop, which will result in problems with sewage outlets and possible occurrence of infectious diseases. At the very south of Serbia, when the weather is nice, Dragan Todorović likes to go out on the balcony of his house and enjoy the silence. He is not certain whether he will be able to do it much longer. The water mill he has is two hundred years old, and once they, as he says “close down water” from the river, it will not be able to operate any longer. He will not even be able to water the raspberries he has grown in the garden. Still, he hopes that construction of the hydro power plant opposite his house may be stopped. “I feel miserable. I am in the position to give up and keep silent”, concludes Todorović. Lopovi. Bogate se, unistavaju prirodu-pouzdano znam koliko se bahate po Kragujevcu. Kupuju nekretnine-milionske, svinguju, lazu, kradu....svi znaju ko stoji iza njih i niko im ne moze nista. Voze se dzipovi,glumi se ludilo, a zivelo se po vesernicama i iznajmljenim supama. Ljudi, živite u Srbiji, mislim da vam je to dovoljno. Ovo je ko zna koja po redu vlast čiji se pojedinci bogate preko naših ledja, pljačkajući i uzimajući od naroda, države, i svih nas koji nismo uz kuma. )lepo kažu svi oni KUM, kao da smo na Siciliji, ili u Italiji, a ne u Srbiji). Državna mafija, tu je da pljačka i bogati se na tudjoj muci, a narod trpi. Niko iz prethodne vlasti nije u zatvoru zbog pronevera, pljačke, boogaćenja mimo zakona, tako da neće niko ni od ovih sadašnjih. Sve dok se ne digne Narod, i ne satre g..na, napuni zatvore zlotvorima i nacionalizuje to što su nepravedno stekli. Dok se ne digne narod i počne da zatvara kriminalce i zlotvore, ovoj zemlji će biti iz dana u dan samo gore, a do tada pojedincima iz vlasti sve bolje i bolje. Порука за њих! Многе власти су пале и због много мењиј ствари народу када решиш да узмеш и оно мало што му рођењем и од Бога припада он се буди, тако је и сада. Сувишно је причати о овом проблему довољно је замислити само живот без воде ако је то уопште могуће.. РЕЦИ ГЛАСНО НЕ ЗА МХЕ!!! A botovi slepo klicu,ne vide dalje od nosa. Ja sam iz Obrenovca.Ja bih s volela da se Termoelektrana zatvori, obolesmo . A najjače je to što izgleda da hidroelektrane i ne predstavljaju toliko čist način za dobijanje električne energije jer oslobađaju ogromne količine metana, mnogo jačeg gasa staklene bašte od ugljen-dioksida. Пишају по народу на најмонструознији начин, како ни комунисти нису радили 1945 године, а народ ћути и трпи, док понека будала (око 10% гласачког тела) гласа за њих (Милошевићевци) да би имали шта да једу. До кадата тако, народе мој?